Students and parents should plan college tours starting in 9th grade. That should give high school students enough time during freshmen, sophomore and junior years to visit several different college campuses, take the official college tour, and narrow down their preferences and final college list before senior year. Most colleges offer daily walking campus tours during the week and some also offer these on weekends. You can search “visit” plus the university’s name to get more information. Another alternative is the College Preview Day, which is typically an all-day event on campuses that include campus tours, dorm tours, information sessions, and meetings with departments. These are great if your student is interested in a college and needs to learn more than just a walking tour will provide. 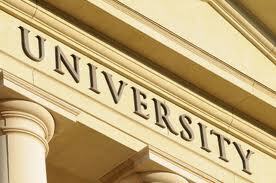 For out of state colleges or others that you can’t visit, be sure to check out any virtual college tours available. One popular site is Campus Tours.com; another is E Campus Tours. Students can also check YouTube for videos that college students uploaded. Here are a couple of great examples: UT Dallas Residence Hall tour, Purdue University drone tour, and tour of University of Alabama. Would you prefer a large university or smaller college? How many students enrolled and on campus? 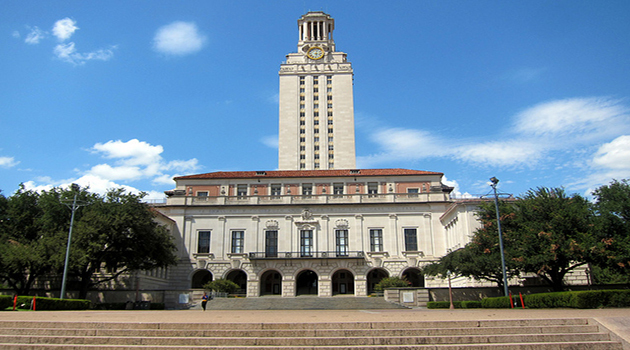 Would you like a college in a large metropolitan city or small rural town? What is there to do on weekends? How large is the campus itself? How long of a walk will it be between classes? Can you walk to nearby grocery stores, movies and restaurants? What amenities would you like on a college campus? A gym or rec center? An outdoor pool? How is the campus diversity? Do you feel comfortable there? You can’t make friends holed up in your dorm room. That’s why colleges and universities offer quads and other comparable hangout spots. This could be as simple as a nice lawn to read on or an open area to play football or Frisbee. And rest assured, even urban schools have common campus hangouts! If such an area doesn’t exist—or if it does and there’s nobody there, this might be a school you want to rethink. You’ll be surprised how important little things like playing catch with your buddies in between classes will factor into your enjoyment of school. Also look around to see what activities the students are engaged in. Active students might be surprised to see students just reading or sleeping on the grass. Students who prefer quiet time to read outside might be annoyed by the rowdy group playing football. When you’re not in the classroom or grabbing a bite in the cafeteria, there is a pretty good chance you’ll be in your dorm room. During the campus tour, ask to see the freshman dorms and upperclassman dorms as well. Freshman dorms will almost always be the least impressive digs on campus, but those double and triple shared rooms are part of the freshman experience! That being said, you want to make sure you’ll be moving on up as you progress in class years. Upperclassmen often have access to suite or apartment-style housing. Also, play attention to the dorms closest to the college of your major: that’s probably where you’ll end up living. In addition to just gasping at the lack of space in a dorm, be sure to look in the bathrooms, laundry rooms, common areas, such as TV lounges. Does the college have computer labs, study rooms, or even community kitchens? The dining hall is the simplest and most efficient way to eat on campus, and with all the studying you’ll be doing, you generally won’t have time to prepare yourself a nice lunch or dinner. The average student will eat in the dining halls twice daily. During the college tour, check for cleanliness, the variety of quality foods, and accessibility. If the campus is big, it may have multiple dining halls, so make sure you see them all. If possible, eat in the dining halls during your visit. I know most families are tempted to get lunch or dinner at a restaurant nearby, but eating on campus gives you the most close-up look and information. If you think you can ace exams without ever going to class, think again. Not only do you need to go to class to make sure you’re up to speed with what’s going on with exams and homework, but a lot of smaller classes also base some of their grades on participation. Granted, you can miss class once in a while, but don’t forget that attendance is often mandatory. Make sure that you like the classroom setting of the school you’re visiting too. Are the classes big or small? Are classrooms flat or stadium-style? Is the technology adequate, or better yet, very advanced? 5. Admission office . . . for an interview! If you’re a junior or senior during your campus tour, why not put a face to your application? Make an appointment to meet with an admission counselor so that they can get to know you as more than a list of test scores and activities. This is your chance to show your personality, and you can even use the time to ask any questions that you might still have about the school. Just be sure that you’re friendly, polite, and articulate, because the first impression is a lasting one. If you’re lucky, you won’t spend much time in the campus health center. However, should you get sick or injured and are in need of anything from emergency care to DayQuil, it’s always reassuring to know you have access to medical care and technology. Most universities offer some sort of athletic facilities. Sometimes, those facilities are just as good, if not better than, professional gyms. So if you’re interested in getting into or staying in shape, make sure your college has a state-of-the-art gym. Pay attention to how close the gyms are, how many students are using it, and if any exercise classes are offered. If you are the first child in your family to attend college, you should prepare to dissociate yourself from your parents upon entering the bookstore. As soon as mom or dad spies a price tag on a textbook, they may react with surprise, anger, disbelief, tears, or any combination of the above. After they’ve calmed down, reassure them that you already set up accounts on Amazon, Textbooks.com, and Half.com, and convince them that your prudence and frugality should earn you one of those nice college hoodies from the bookstore. Just don’t show them the receipt. This may be the most important part of a campus visit, and an opportunity that too many college-bound students do not take advantage of. If you visit colleges while school is in session, your tour guide will probably be a current student, but they will also be trained how to answer your questions. During your college tour, you should make a point to approach a few students—at the cafeteria, the library, or just while walking around campus—and ask them any questions you have or even just about their general experience at the school. You’ll get much more honest answers than you will from tour guides, and most students will be more than happy to stop and chat for a few minutes. Students may want to venture off campus for a bite to eat, to watch a movie, go to theater, visit a museum, or any other activity that is important to the student. If your favorite activity isn’t close or available, is there a way to rent a car or grab a bus ride to it? If not, will you be ok without that activity for four years? Students should think through their weekend activities to see which ones they’d like to continue in college. Jolyn Brand visits many colleges around the country to get a real ‘feel’ for the campus and help clients select universities that will be a good fit for them. Read more here. Want to read more about what high school students should be doing to prepare for college?